Hailing from an agriculture family, KJ Reddy is a native of Jagadurthi village, Dhone Mandal, Kurnool district. He completed his schooling in his home town and pursued his graduation degree in “Dairy Science” stream from Y.S.Raja Reddy College, Pulivendula, Kadapa district in 1984. He began his career as a Medical Sales Executive in 1986 and within shot span of time he rose to the Regional Manager level. He won many recognitions and awards for his excellence from several companies. 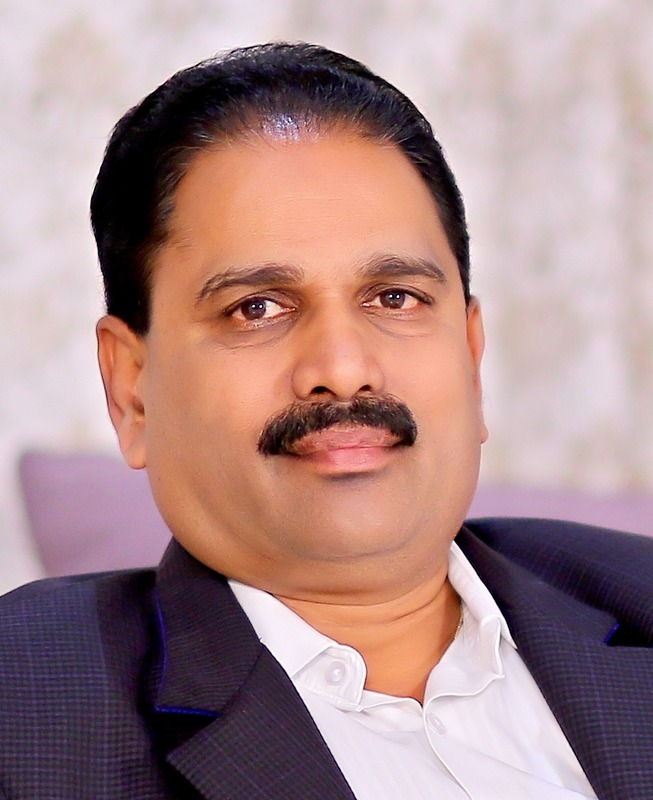 With an interest in electronic peripherals stream, Mr. KJ Reddy initially began his entrepreneurial career as a dealer and distributor of computers and computer peripherals, office equipment, and excelled in the field. Later he took up distribution of Godrej Modi Xerox GE and Schiller medical equipment for the entire Rayalaseema region and won several laurels for sales performance, competing only with metros and won Silver and Gold medals in the process. Since then he never looked back and using the money made through his business he successfully started a group called K.J.R Group, which mainly focuses in Real Estate business, Education, Leisure, Infra Structure and Philanthropy. Under the footsteps of KJR guidance and principles, the KJR Group becomes one of the most successful business ventures in Kurnool. The main vision is to work towards asset generation that is useful in creating long-term surplus, than to dole out funds for populist schemes that encourage perpetual parasitism. A corpus fund has been earmarked for that purpose, and a conscious and conscientious policy is being chalked out to realize this precious dream. Mr KJR always strives hard to provide generating jobs for the youth through his Raaga Mayuri Group, which is going to set off as a mega electronic park with the centre of activity at Anantapur district of Andhra Pradesh. He has been careful in his choice of business ideas and earned a fair share of success in his career. was typical of his career, KJR With an intention to take his Raaga Mayuri Group to the national level, KJR is all set to begin eight segments that will make electronic components for defence and aerospace sector, taken up in collaboration with Electronic Industries Association of India (ELCINA). This 50-acre industrial park, located alongside National Highway – 7 (Hyderabad – Bangalore stretch) at Chilamathur village near Hindupur will generate employment for 20,000 people in direct and indirect mode. As Group was built brick by brick with complete support from his family. But brick and mortar and a glowing career alone do not automatically lead to coaching success. He worked very hard to improve his business in each and every stage. With over a decade of rich experience, he has planned yet another project through Ragamayuri Group that is a mega food park with the centre of activity on Telangana-Andhra border. The core food park will come up in Mahabubnagar District of Telangana and the processing centres at Kurnool, Ranga Reddy, Anantapur, and Kadapa in the year 2017. KJR Group Chairman K.J. Reddy would invest about Rs. 112 crore to create infrastructure for 50 individual units, which will be engaged in various activities of food processing and value addition. The project was approved by Central Ministry of Food Processing, which would provide a grant of Rs. 50 crore. The investment size of the guest companies are likely to be in the range of Rs. 2,000 crore. According to the promoters, the food park was likely to create 10,000 jobs and marketing facilities for one-lakh farmers. With an aim to provide social welfare activities, this dynamic, enthusiastic, optimistic, and future-oriented, Creative Business Leader and a humble man is all set to enter into politics and contesting as a Graduate MLC candidate for KADAPA, KURNOOL, and ANANTAPUR regions. He always strives for the Development of the Rayalaseema Region with his own and government enabled projects. His main aim is to generate 20,000plus jobs to his local people who are craving for jobs. Sri K.J.Reddy’ outlines his vision for development of Rayalaseema region. Way to go!! !